Pharmacists Kirit Patel MBE (CEO of Day Lewis) Peter Cattee (CEO at PCT Healthcare), Manvir Patel (Managing Director of Manichem) and Hiten Patel (Managing Director of PharmaPlus Ltd) embarked on an epic journey in April in the name of charity. The pharmacists travelled through 17 countries overland from the UK to India and arrived safely at their final destination, Ahmedabad on 12th June. So far the team has raised £455 for the charity and they are still welcoming donations for Pharmacist Support on their Justgiving page: https://www.justgiving.com/FourPharmacistsOneCar. More information on their journey can be found on the Day Lewis and the Pharmaplus Facebook pages as well as on Hiten Patel’s blog. We are thrilled that these pharmacists have undertaken a challenge for the charity. Every year we receive more enquiries and requests for assistance and the money raised will help support those pharmacists, pre-reg and pharmacy students in need. 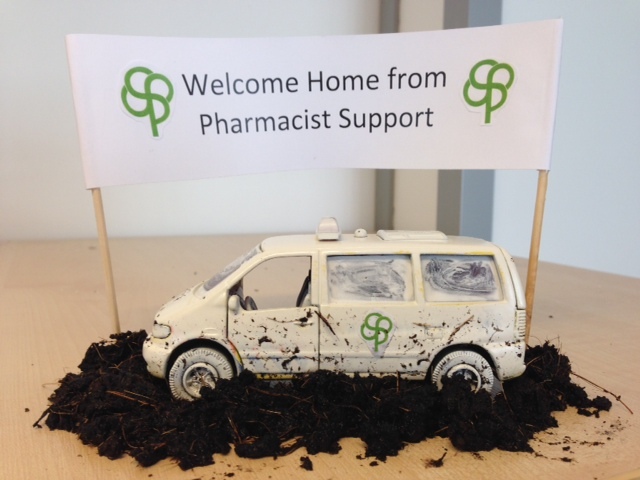 If you’d like to organise a challenge for Pharmacist Support, get in touch!